Online courses have become massive and profitable winners for many website-owners and bloggers. Not only is it easy as pie in creating an online course nowadays with all the many tools available, but when you have a lot of targeted traffic and a huge portion of people wanting to learn how to be successful in any type of endeavor, you have the potential do extremely well as a course creator. There are bloggers running courses like “how to blog like a pro” and “how to build a website” directly off their site and making 6 figures monthly. The fact is that people are always wanting to learn and most importantly, they want to learn directly from an authority who is a trusted source for real practical information. It’s no secret that many people pay big bucks for a real mentor. It saves them the drag and confusion of researching through heaps of different articles and reports online. People prefer hand-holding where they can digest information a lot easier and from someone they trust who’s been there and done that. 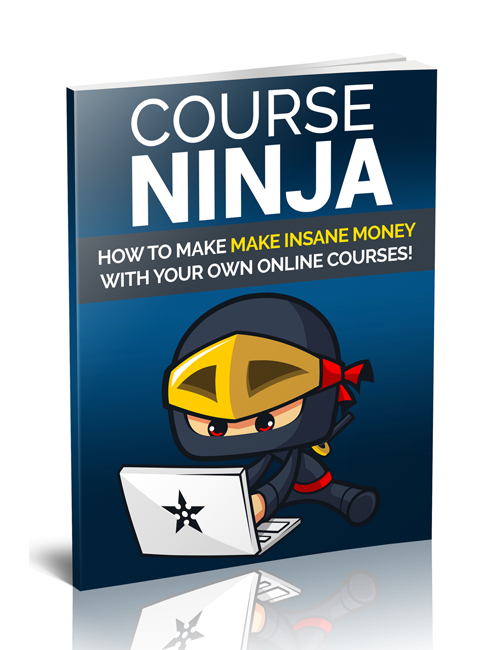 In this guide, you will be shown the way towards building your own course or several for your audience and subscribers. No matter which field you excel in, be it graphic or web design, any form of marketing or blogging, arts and crafts, etc, you have a willing audience wanting to learn from you. And they are willing to pay for it. Many big time marketers including Pat Flynn, Michelle Gardner and Abby Lawson to name a few are making tens of thousands of dollars monthly just for their courses, right off their blogs. You’ll learn the essential tools to get started, choosing your topics, outlining your course, how and where to sell, setting up payments and growing your revenue. We’re in a time where people want results and the want to learn from real people. Now’s the time to get your courses up and running so you can start killing it too. Hit the download button now.